I was asked about this today, and decided to record the solution in a blog post, for future reference. 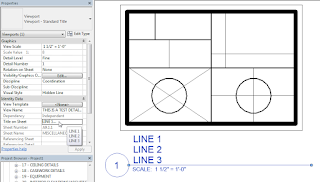 Viewport Titles in Revit® will wrap onto a second line when the length exceeds what will fit, based on the length of the label in the Title Family, but often the user wants control over where the wrapping occurs. If your office protocols allow for using the Title on Sheet property of a Viewport for the title that is shown on the Sheet (rather than using the View Name), then you can set a line break at the cursor location in the Title on Sheet property edit box in the Project Browser by pressing CTRL+ENTER. And, no, there is no significance to the contents of the Drafting View that I used as my test case, shown in the image above. 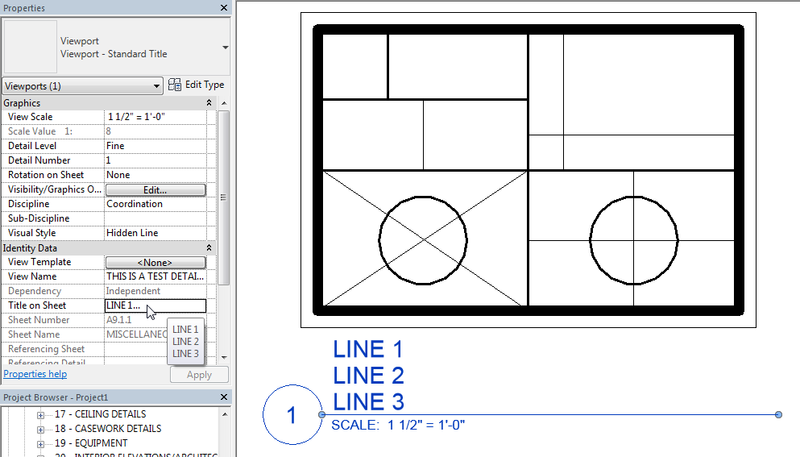 They are just some semi-random Detail Lines drawn so that there would be something to see when the Drafting View was placed on a Sheet.